THERE THERE tells the tale of a nation and its people, shaped by violence and recovery, and memory and identity. The novel follows the paths of twelve individuals who share a common goal: to travel to the Big Oakland Powwow. While Jacquie Red Feather is newly sober and trying to reunite with the family she left behind in shame, Dene Oxendene is recovering from his uncle’s death and has come to work at the powwow in order to pay respect to his uncle’s memory. Through his gripping and visceral prose, Orange evokes an urgency regarding the plight of the urban Native American who faces a new kind of violence—one that takes the form of addiction, abuse, and suicide. Yet he also illustrates a coming to terms with a history of suffering and loss, and a remembrance of beauty and tradition. Tommy Orange was born and raised in Oakland, California, and is an enrolled member of the Cheyenne and Arapaho Tribes of Oklahoma. 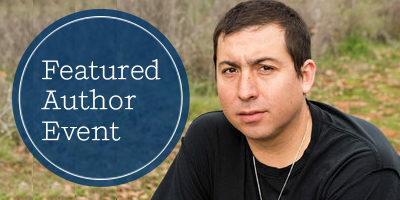 He is a recent graduate from the MFA program at the Institute of American Indian Arts, 2014 MacDowell Fellow, and 2016 Writing by Writers Fellow.